How do I book a hotel on Sandboxx Travel? Looking to book a hotel for a trip to Basic training graduation or maybe just a getaway. Follow these instructions for all you need to get you closer to the perfect stay. 2. Select "Hotel" in the top bar of the Travel page. 3. You can either manually input your destination or select one of the basic training locations from our "Popular Locations" choice and hit "Search". 4. You will then be brought to the Results page which you can sort by Price or Distance from base. You can see that some properties have a blue "recommended" banner and some have an orange "popular" banner. 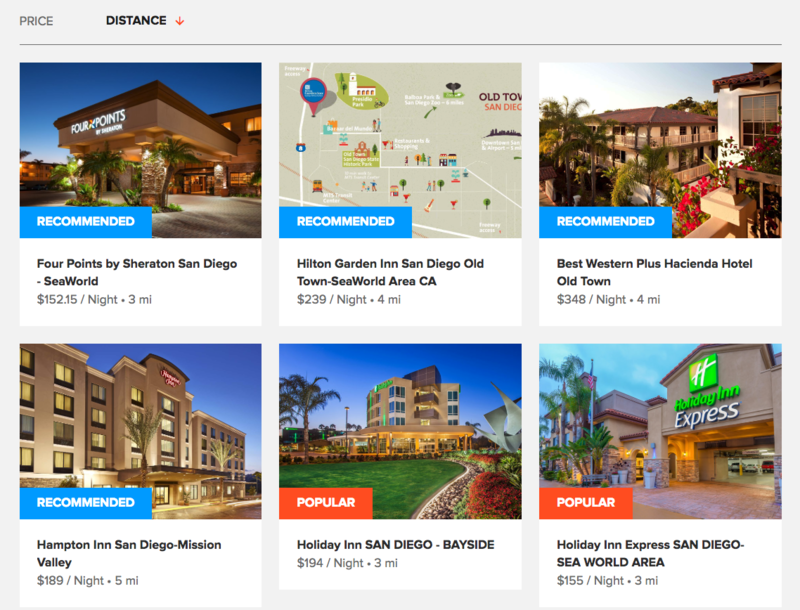 Our "Recommended" hotels have come from our Travel team's personal experience of staying at the property or from other military families recommending these hotels to us. Our "Popular" hotels come from having the most bookings outside those that we recommend. 5. Ensure your date and number of guest selection is correct before clicking the "Search" button. 6. 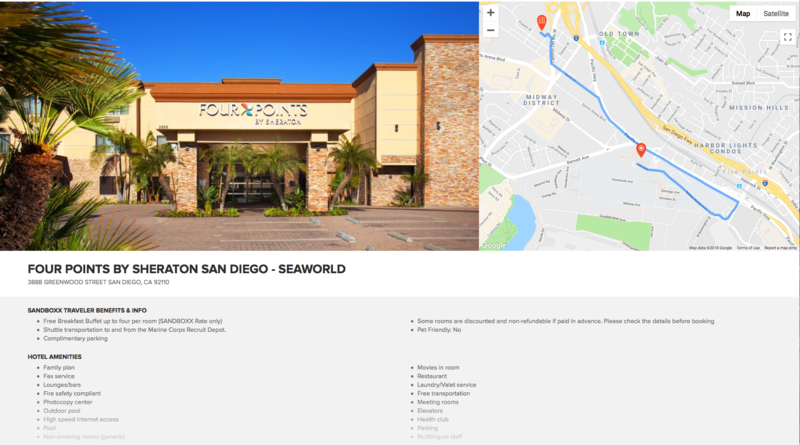 Each hotel page will give you the address of the hotel, pictures, a list of amenities as well as available rooms and how much they cost per night. Certain properties have "Sandboxx Traveler Benefits" where we have worked with the property to include some additional extras. To avail of these, select a room that's offered at a Sandboxx Rate. Please check the details on the room size you would like to pick. Some hotels have a pre-paid deposit which is non-refundable. Other rates such as AAA should only be selected where you are eligible. 7. When you have selected your room, you will be prompted to fill in your guest information and your credit card information to pay for your stay. You can also see the total amount of your stay with a breakdown of the tax amount. Once you enter all of this information, you can click "Reserve Room". 8. Before your booking will complete, you will be asked to log in to your Sandboxx account. This is a security feature. If you don't have a previous Sandboxx account, you can also create one at this time. 9. Once you've logged in, your booking will process and complete and you should expect an email shortly. If you wish to look at your booking, change credit card details or cancel it, you can view it on your Sandboxx Profile on our web-app browser. We currently do not support this on mobile. If you wish to make any other adaptions to your hotel booking, please contact the Sandboxx Travel team at reservations@sandboxx.us or by live chatting on the Sandboxx Travel page.